يحظى فندق Sunset Island Resort بمكان متميز في محور المدينة والاستمتاع بـ تسوق, شواطئ, الحياة الليلية في هذه المنطقة الفاتنة. يمكن من هنا للضيوف الاستمتاع بسهولة الوصول إلى كل ما تقدمه هذه المدينة النابضة بالحياة. يشكل هذا الفندق ملاذاَ مريحاً للاسترخاء ويمنح زواره فرصة للاستجمام والتجدد، وهو يقع على بعد خطوات من المعالم السياحية الكثيرة للمدينة. استمتع بالخدمات الراقية والضيافة التي لا مثيل لها بهذا الفندق في هذه المدينة رائعة الجمال. لضمان راحة ضيوفه، يقدم الفندق الخدمات التالية: خدمة حجز التذاكر, تخزين الأمتعة, واي فاي في المناطق العامة, صف السيارات, غرفة عائلية . في Sunset Island Resort غرف نوم يزيد عددها عن صممت بذوق وعناية لتوفر لك كل وسائل الراحة . بعضها يحتوي أيضاً على تلفزيون بشاشة مسطحة, سجاد, مواد تنظيف, قهوة فورية مجانية, شاي مجاني. يقدم الفندق مجموعة واسعة من وسائل الراحة المتنوعة، كمثل: حوض استحمام ساخن, مسار جولف - ضمن 3 كم, حمام سباحة خارجي, سبا, حديقة. إن Sunset Island Resort هو خيارك لخدمة الفنادق الراقية في المدينة. Absolutely appaling that they didnt even provide a towel for my child and when we asked for an additional towel as there was only 2 provided and there was 3 of us staying they informed us as my child stayed for free he was not entitled to a towel. This was not mentioned anywhere at time of booking. No bath mat or face washed provided. No milk for tea and coffee. No plug for the laundry tub. 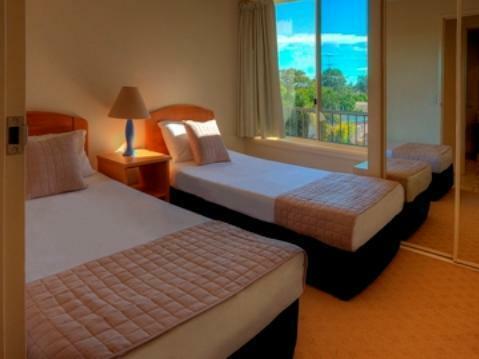 No change of sheets or towels in a 6 night stay or any rubbish removal/housekeeping. When we went to wash our towels and sheets the washing machine wouldnt work but they did get another one for us to use. The dryer took extra long time to dry anything and 2 sharp knives wouldnt even cut a tomato they were that blunt. Very basic accomodation to what the photos indicated. Beds were terrible. Would not stay here again or recommend this accomodation provider. We stayed here as part of a group that chose the venue. I think it is over priced for the location. Our room had a lingering smell of food (possibly someone heated up some food and then the room was closed up). we tried to air it out by opening the windows but it just was too overbearing. Getting onto management on the weekend was difficult as there was no one onsite, but also there was a bit of a language barrier. In the end we were able to change to another room and were offered a discount. The room was otherwise quite clean and tidy. There was a nice large pool. the location is near a canal, but nothing else is particularly walking distance. You would need a car to get to decent dining, shopping and beaches. When I ordered the room I'd put that I wanted twin beds but as I entered the room was shown a room with one double bed and also needed to pay an extra $100 deposit, which won't be put back into my bank account for another 2 weeks. Didn't tell me that when I gave them my deposit. Booked three nights at a good rate under $80 p/n. Receptionist was friendly and accommodated our special request for a top floor unit in a quiet location. Apartment was clean and well equipped, although I usually bring some of our own kitchen utensils for cooking. Everything was good, except that the first night was very noisy outside of the complex, as there are some backpacker hostels down the road - and there was yelling and screaming until late into the night. The other nights were quieter but we had window and sliding door closed overnight with the A/C going. The walls to next door units do not seem to be solid brick walls...there is not much sound protection as we could hear a family with children next door for a while each evening. The shower has the most minimal water pressure ever and the hand held shower head was put in place by a soap tray...if you move the tray down the head would not stay in place. The bathroom had smell of dried urine despite the toilet looking clean. Clean room, close to town. Happy customer. 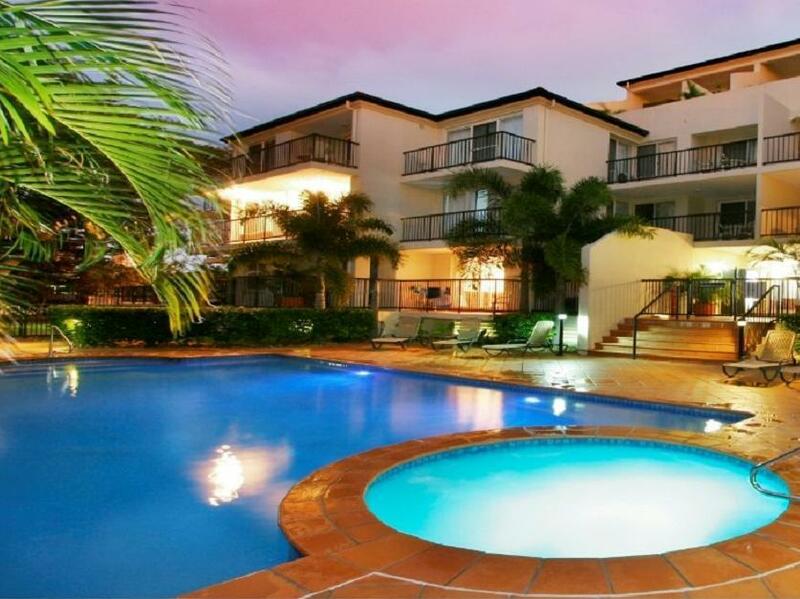 Great quiet location away from the busy surfers Paradise . Only 10 minutes walk to Caville Avenue and the beach. Room are spacious and very clean. Staff are very helpful. We got a free upgrade to the Penthouse Suite on arrival which was a fantastic suprise. Our apartment was bigger than most houses I've been in. We had a 3 storey aparment. On the first level was a bedroom with 2 single beds a full bathroom a living area with a double bed and a huge shaded balcony that overlooked the river. There was also a washing machine and dryer. Upstairs to level 2 there was a massive smart tv a full size lounge a dining room and a full size kitchen with dishwasher, microwave and a full size fridge. The doors opened out afresco so u could have a meal on the balcony overlooking the pool area. Up to the third storey wqs the main bedroom with full bathroom and balcony area. 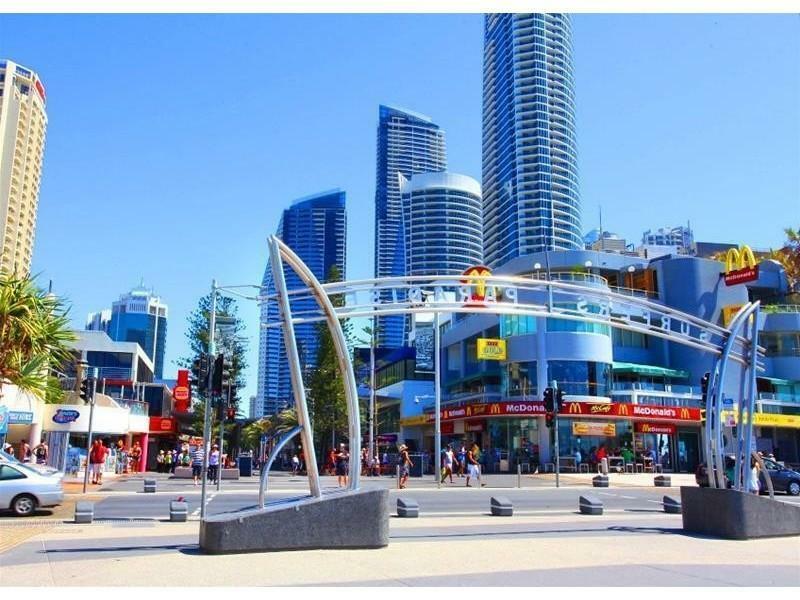 The location is about a 15 minute walk to surfer paradise. But its a pleasant walk. The view at night was amazing. Overlooking the river in one side and the scenic skyline on the other. The pool and spa area were amazing. There was also a full bbq area for use. The staff were amazing and friendly. I had booked and paid for a room that was later disregarded by the hotel owner. Would not stay here again. Great affordable accommodation for a weekend away. Perfect if you want to self cater or for bigger families. 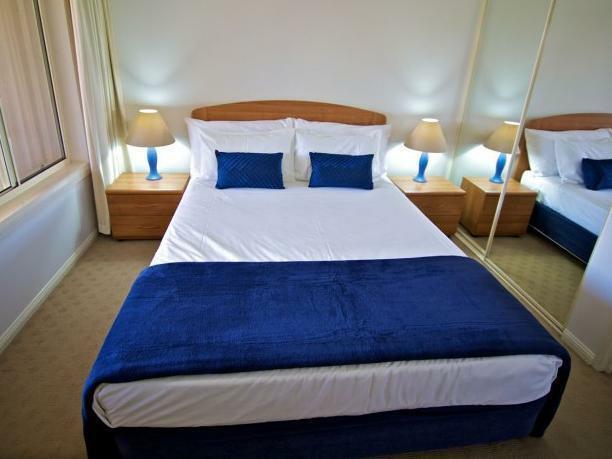 Walking distance to Cavill Ave. It's the first place ive ever stayed in that doesn't provide milk, it made no sense to supply Tea/ coffee but no milk . Great value for money. Spacious apartment. Secure parking with a key. Staff are nice and helpful. We stayed here for a week in January 2017 - we had a great time! It's close to Surfers i.e. within quick walking distance. The room we had was perfect for what we needed (couple with toddler), it had parking for the hire car - really couldn't ask for anything more and at a fraction of the price of some of the bigger hotels. Couldn't fault it really for the price....would stay again.